Situated in an undiscovered natural paradise on the Great Ocean Road, Bonnies is the perfect place to escape and unwind. 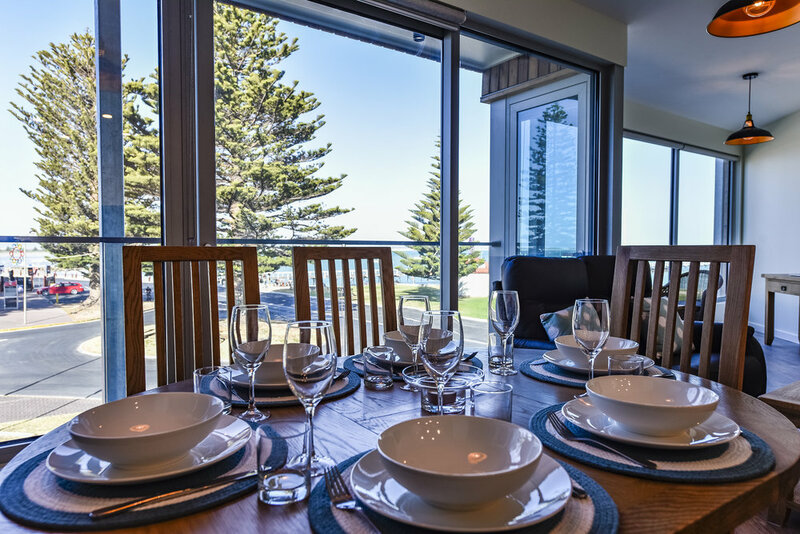 Each apartment enjoys a private terrace with stunning views of the bay and beaches. Enjoy a waterfront balcony, two bedrooms (one king bedroom plus either single or twin), Egyptian cotton sheets, free Wifi, Netflix, Nespresso coffee machine, dishwasher, washing machine & tumble dryer, lift & parking. With pristine and safe beaches, quaint shops, the freshest seafood and magnificent sunsets, Beachport is a rare haven. Outdoor enthusiasts will love being footsteps from golfing, fishing, swimming and surfing, as well as spotting native birds, seals and whales during the seasons. If you are looking to relax away from the crowds you will find the peace and tranquility of this untouched coastline a welcome tonic, and the therapeutic salt water Pool of Silom can be enjoyed year round.